The internet is full of remedies for growing thicker, fuller and longer hair. But there’s little reliable data on what can be done for hair thinning, which happens to 40% of women. Hair thinning may only be noticeable to you and your stylist because a clever part or hairstyle can conceal thinner or problematic hair sections. But it’s there. Even before you can visibly detect thinner areas of hair on your head, you may see an atypical amount of hair loss on your hairbrush or hair fall while washing hair. And once you notice it on yourself, you notice it on others: sparse sections in the hairline or temples, and widening partlines. It occurs for a variety of reasons including hormones, age, heredity, diet, post-partum stress, taking medications and chronic illness. Internet hair growth and thickening lore are less helpful for hair loss and it is easy to get misdirected onto unhelpful and even harmful ideas. Home remedies for reducing hair fall and encouraging thicker, fuller hair include rubbing the scalp with coconut, castor, Vitamin E or amla oil. Some experience better hair growth with Pre-Natal vitamins. 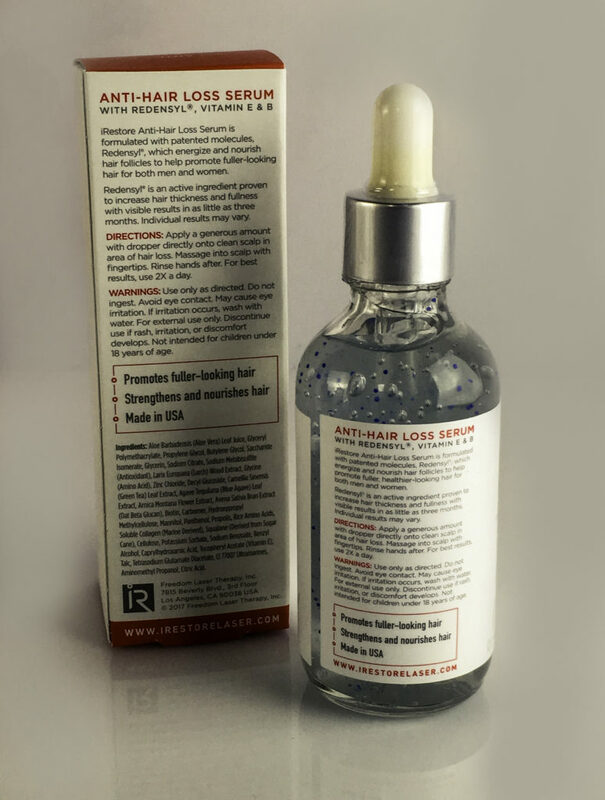 While these remedies can help, they only address select hair growth contributing factors, they are not a catch-all solution nor do they address hair loss at the source. Beautiful hair is not to be left to chance. The phrase “good hair day” exists for a reason: our sense of how we look is often tied to the appearance of our tresses. And if something can optimize our hair, we are so on board. 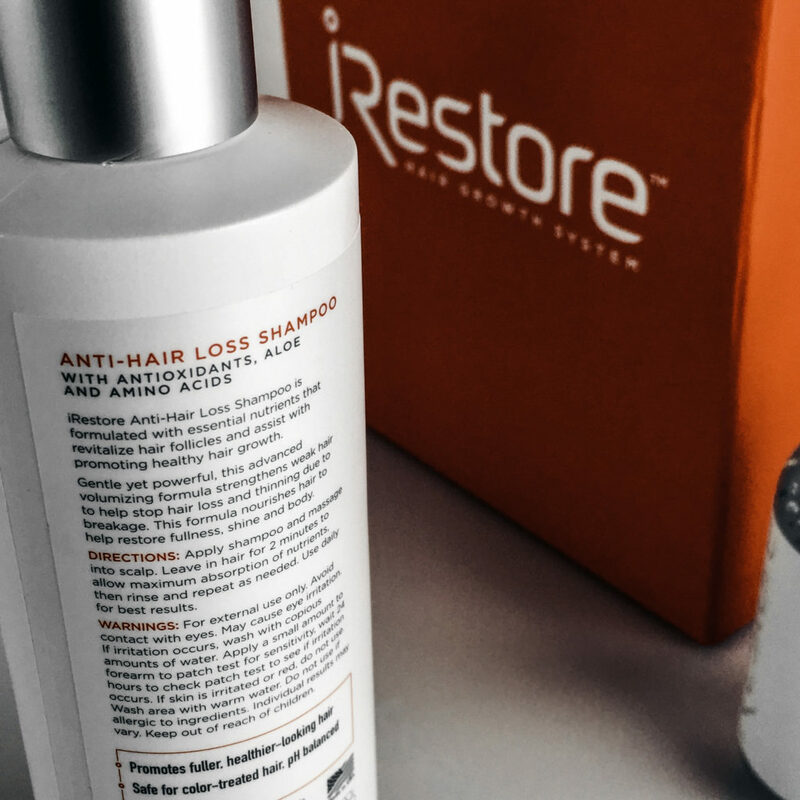 So here at StyleChicks, we’re excited to try the iRestore Hair Growth System, an at-home use, FDA-cleared, clinically proven to way to grow hair for both men **AND** women. 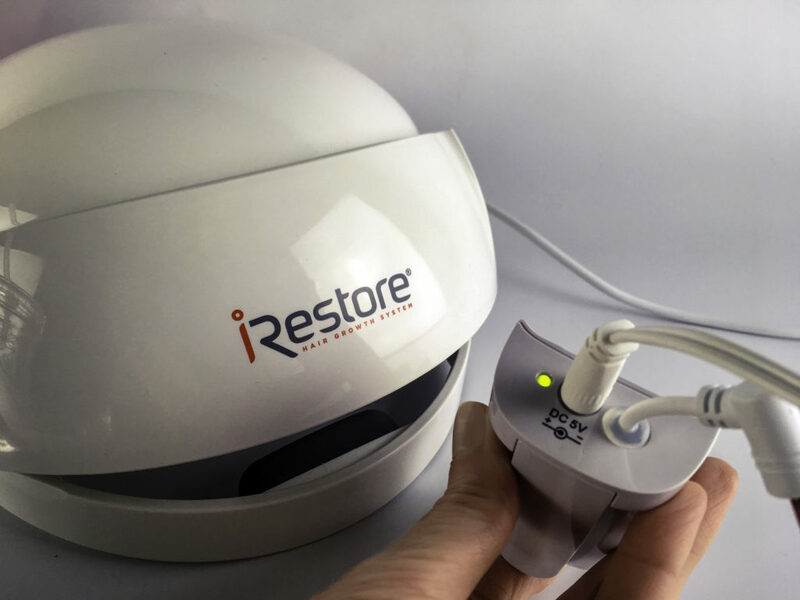 The iRestore is an FDA-Cleared device that is a dome-shaped helmet that is worn for 25 minutes, every other day, for a pain-free laser treatment. 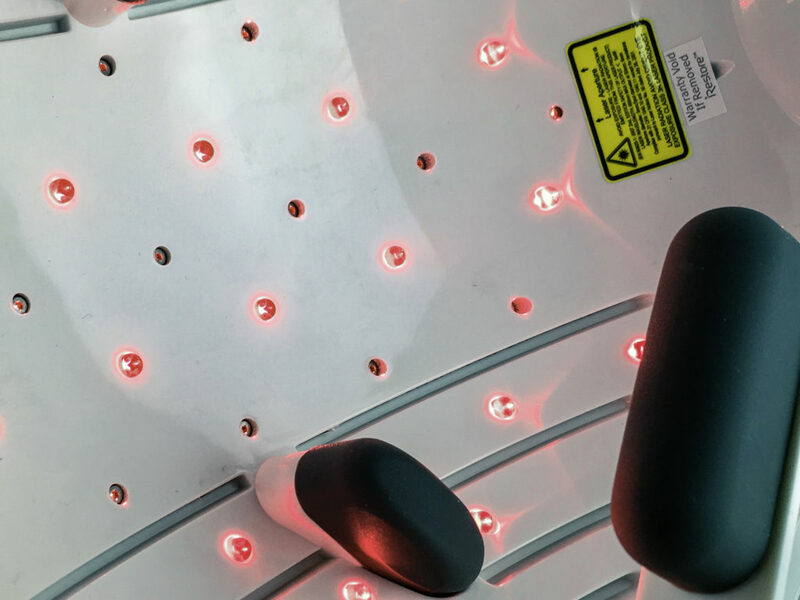 On the inside of the helmet are twenty-one Class 3R lasers and thirty LED diodes that produce a red light in a specific nanometer range. This range has been clinically demonstrated to stimulate hair follicles, thereby enhancing regrowth. Why exactly does this work? 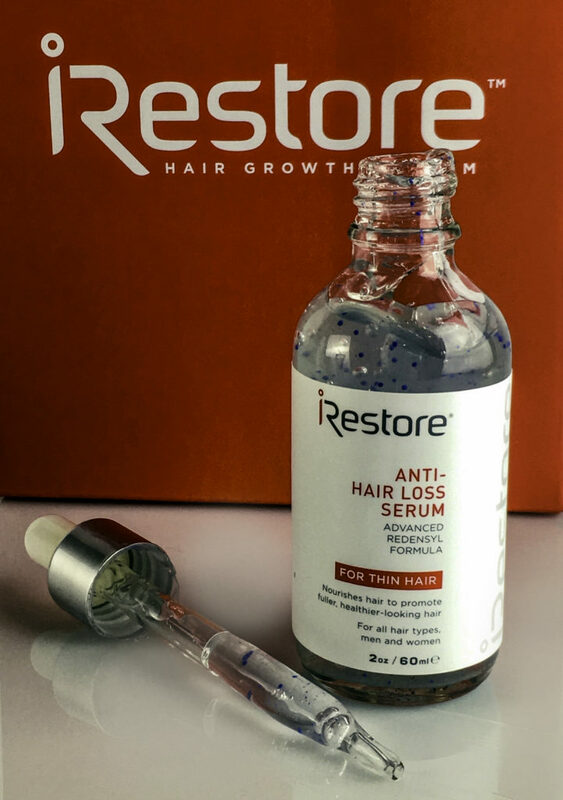 When a hair follicle experiences poor blood flow or the build-up of a hormone by-product called Dihydrotestosterone (DHT), the hair follicle slowly shrinks until it no longer produces hair. How do you know your follicles are suffering from poor blood flow or DHT build-up, or both? You can detect a struggling follicle by looking for the shorter, thinner hairs on your head. The existing hair gets thinner and shorter until it sheds and another hair does not grow back in its’ place. When many follicles do this, hair becomes sparse in areas, exposing more scalp. DHT sneaks up on you. Many of us do not wash our hair daily so as not to over-dry the hair length. Or we may wash less to try to retain a style like a blow-out or retain our hair color or highlights. But the longer one goes not washing their scalp, the more damage DHT can do to a hair follicle, effectively smothering it to death. Dead follicles no longer receive a regular blood supply. To make matters worse, home remedies such as rubbing the head with heavy oils such as coconut oil can actually trap DHT under a thin oil residue, even after the coconut oil is shampooed squeaky-clean out of the hair length. DHT can be addressed in part by shampoos, topical serums, and vitamin supplements. But topicals alone cannot fix follicles that no longer receive the blood supply needed to grow new hair. How does laser light break the pattern of hair loss due to non-producing follicles? A dormant follicle can get a “kick-start” from the laser because it increases blood flow to follicles, which brings the right nutrients and support to bring it back to life, once again producing hair. Second, the laser can extend the growth phase of hair to restore a healthy hair production cycle once again. As a side bonus, currently producing follicles and the scalp also benefit from increased nutrients and blood flow. 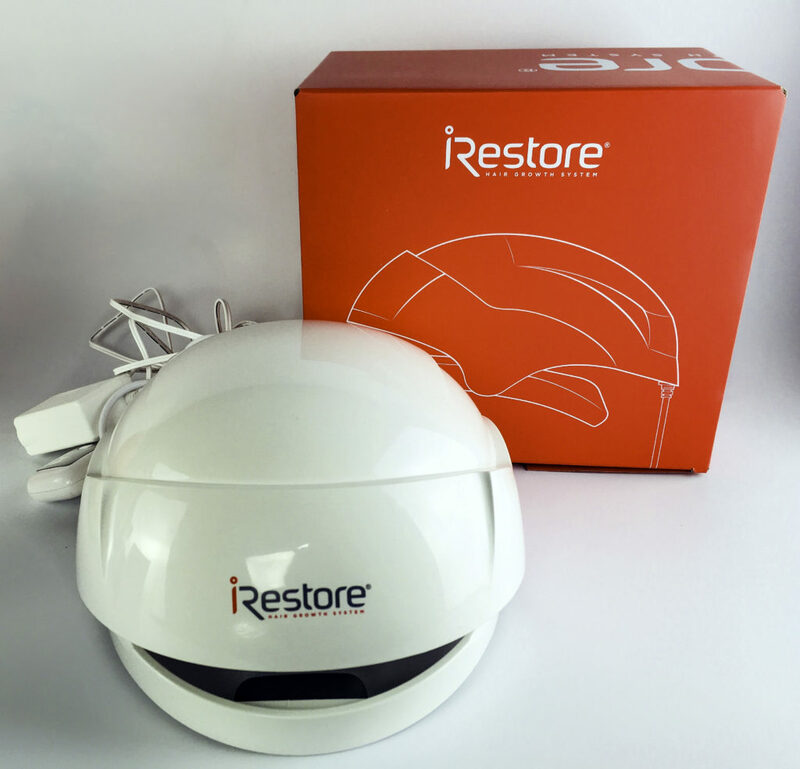 Each kit contains the iRestore ID-500 Laser Dome (the helmet), a power adapter, a remote control, and a user manual. 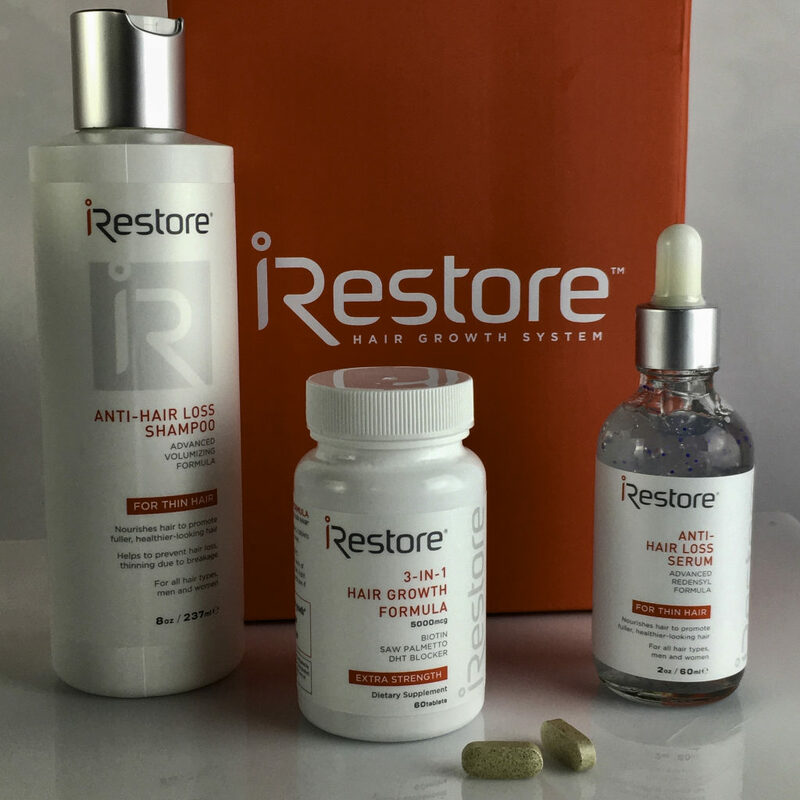 Additional iRestore products include a Hair Growth Serum, Shampoo, and a 3-in-1 Supplement. These are geared towards the DHT side of hair loss and providing internal and topical nutrients that keep follicles making healthy hair. There is also a portable power unit available so you can be mobile while using the helmet and not be tethered to a plug. While the clinical data is impressive, the real proof is in the pudding, or in this case, in an in-house trial by three ladies from the Style Chicks team. Three of our own will be using the iRestore and be reporting back each month their results over the course of our own study. 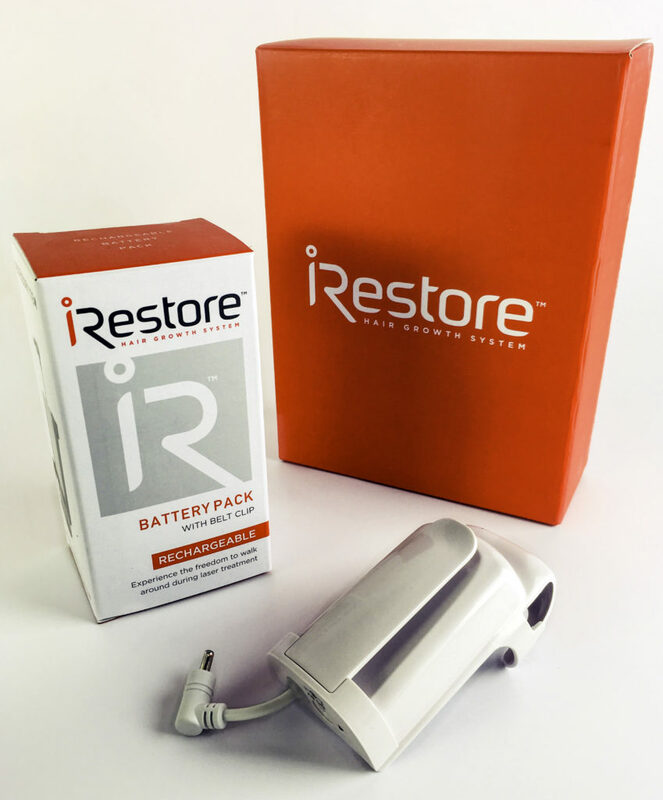 So join us each month to see how iRestore works on real people. The iRestore unit is lightweight and has a generous length cord, so most people should be able to use it in a variety of settings at their desk, at the computer, sitting in bed with a laptop or tablet, or watching TV. The helmet is comfortable and fits securely on the head. The unit runs silently for 25 minutes followed by a soft “beep” to signal the treatment is over. You will probably find you need that signal since it’s easy to forget the helmet is on your head. It’s practical to combine the iRestore treatment with other activities such as answering email, paying bills, reading, or, my personal favorite, watching TV. To establish a pattern of regular use, I use my iRestore when I watch the HGTV series “Fixer Upper”, which seems apropos. 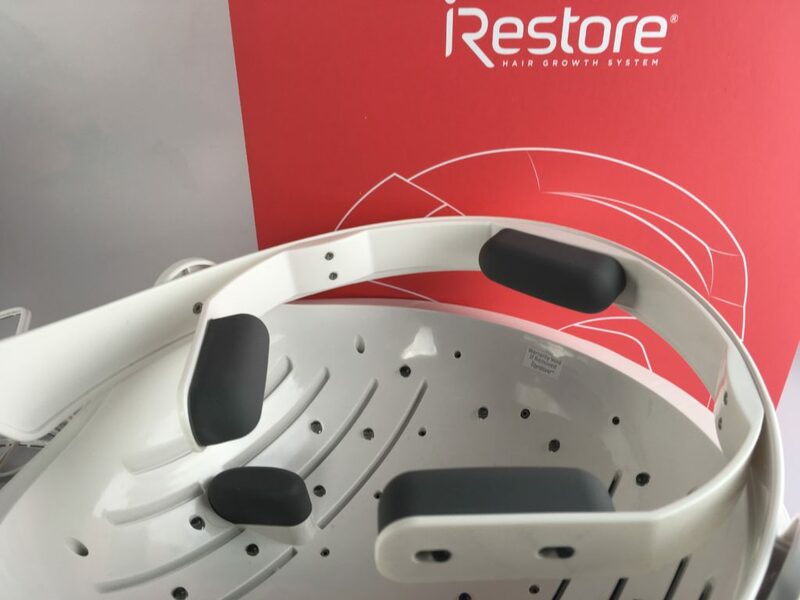 The science is there to back the product claims so, if it works for me, it’s so easy to use there’s absolutely no reason to prevent keeping up with the iRestore program. I’m terrible at consistent device use, so establishing a pattern was key. I am online every day, so keep the iRestore on my desk by my laptop so I remember to use the helmet every other day. It fits on my head without slipping or feeling too heavy. LAZY PERSON CONFESSION: It’s easier to adhere to regular use with this hair growth device and I use it more consistently over a laser comb, band or daily topicals because I don’t have to do anything once I put it on, like moving the comb or band into place and holding it in place on the head. Both my hands are free and it doesn’t make an annoying noise. I find this makes it much easier to use regularly even if I am busy all day. But at some point, I am on my computer and can use it while I work. With the optional power battery pack unit, I can get up and walk around during treatment and attend to various tasks. The battery pack unit clips onto a belt clip and allows plenty of flexibility of use. 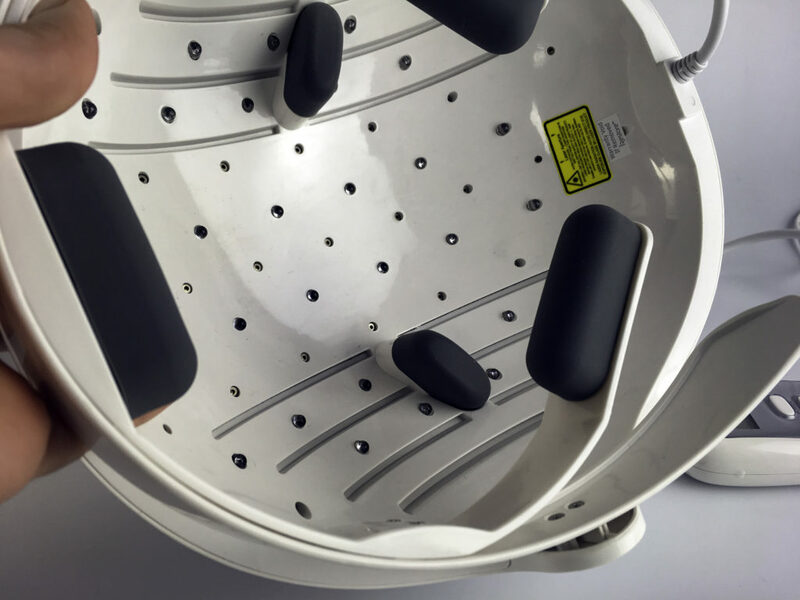 However, with the main power unit that comes with the device, if something disrupts your session and you need to take the iRestore dome helmet off, it senses it is not on the head and pauses automatically. It can also be paused mid-session on the head by pressing the start button. I find this useful in keeping consistent use, knowing if a disruption happens I will still get the full treatment. I previously considered my hair vitamin needs covered, I’ve been taking hair vitamins for some time. 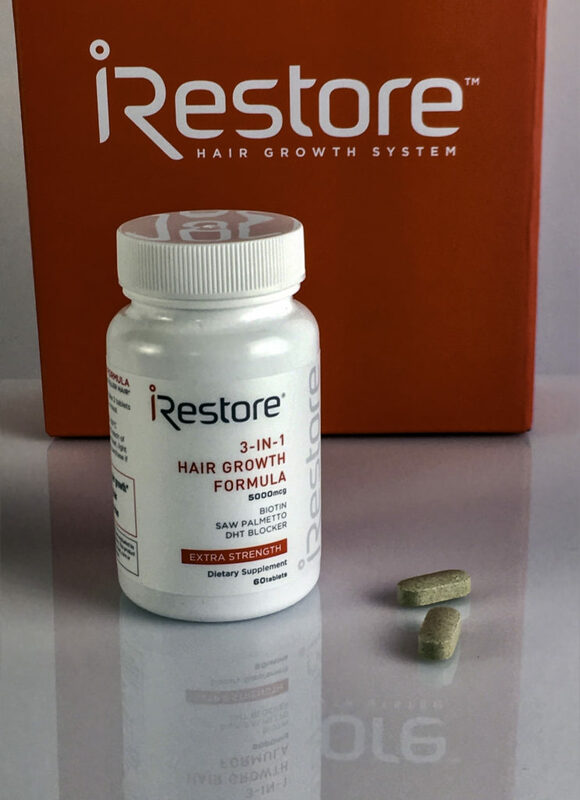 I’ve had improved hair and nail growth from Biotin, so I was curious what would be the difference between your basic hair vitamin and the iRestore 3-in-1 Hair Growth Formula. 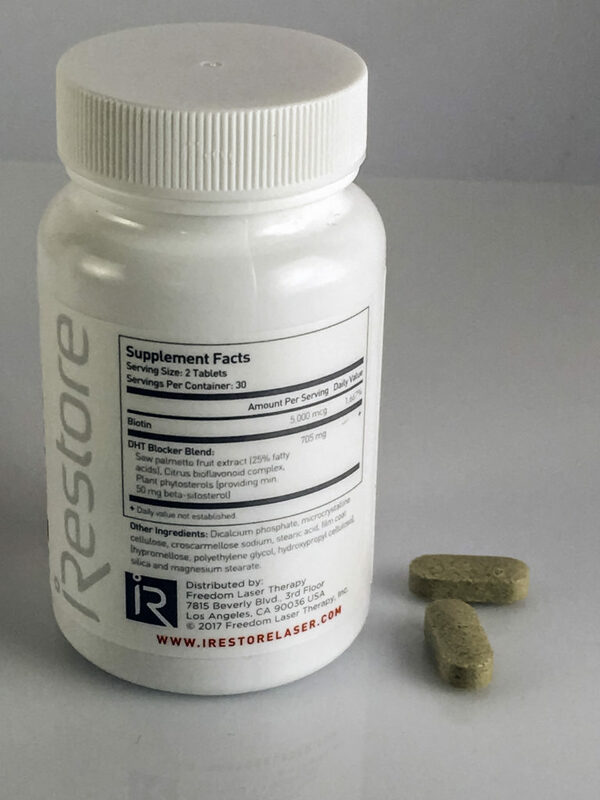 The iRestore supplement includes, amongst other hair friendly vitamins and minerals, a key DHT fighter: Saw Palmetto. While it has been used for centuries, Saw Palmetto is rarely seen in hair growth vitamins, but it should be. Saw Palmetto inhibits 5-reductase, an enzyme that converts testosterone into DHT. Saw Palmetto also inhibits the DHT receptors in the follicles, limiting the damage that DHT can do. I prefer not to wash my hair daily when I get my hair freshly colored. If you don’t wash your hair daily for whatever reason to remove DHT, Saw Palmetto is a must have for fighting DHT related hair loss over time. I don’t expect result right away, but I am happy to find this unique hair vitamin combination. 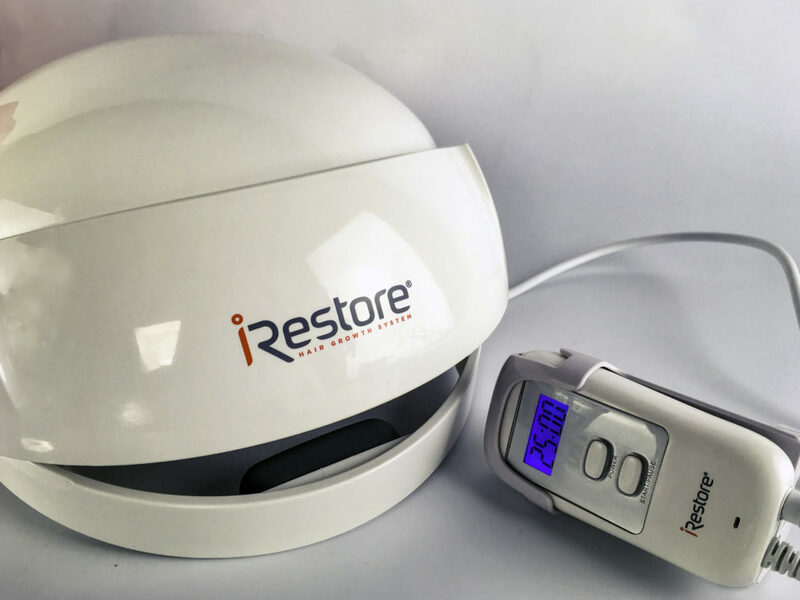 The iRestore is easy enough to use, the 25 minutes goes by quickly. It’s comfortable and the lights stay focused on the scalp without dispersing, so no goggles are necessary. The light is powerful but precise. It is too early to tell if the serum works, but the smell is pleasant and it doesn’t leave a greasy or dirty look on the hair or scalp. I was pleasantly surprised by the iRestore shampoo. Typically shampoo geared toward hair regrowth or scalp health tends to smell medicinal and makes my hair dry, this was just a clean, gentle, regular scent that was pleasant and lathered well. It did not leave a residual on my hair and it made my hair feel thick and strong. I followed up with my own moisturizing daily conditioner. I tend to dislike using a shampoo from a set because it rarely meets my haircare needs, but this is a great go-to shampoo that leaves my hair soft. There you have it! Check in next month to see each of our updates on using iRestore.